Secretary of Defense Ashton Carter came out against supporting encryption back-doors at a conference panel on Wednesday. At the RSA information security conference in San Francisco, Carter told a packed room that he supported strong encryption and thought back-door access to encrypted communication as unrealistic. During his talk on the Apple vs. FBI case, which he shied away from the details because it is a “law enforcement issue,” Carter received scattered applause from the crowd of security professionals after he said he supports strong encryption. Carter joined Attorney General Loretta Lynch in supporting encryption at the RSA Conference this week. In a stage interview with Bloomberg at the Moscone Center on Tuesday, Lynch called for “a middle ground” between national security and privacy. In the 50-odd minute talk with Ted Schlein, general partner for the influential venture capital firm Kleiner, Perkins, Caufield & Byers, Carter focused his talk on how to bridge the gap between the Pentagon and Silicon Valley. 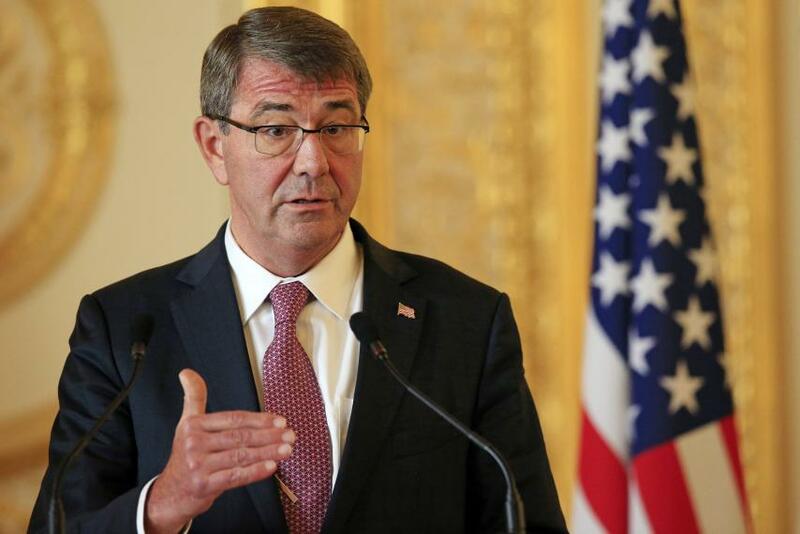 Carter, who was appointed to the secretary position last February by President Barack Obama, spoke about two initiatives in particular: the Defense Innovation Unit-Experimental (DIUx) and the Defense Innovation Advisory Board. Both serve to make the department more agile and tech-savvy in the age of cyberwarfare with competitors like Russia and China, Carter says. He also announced a new competition called “Hack the Pentagon” where ethical, or white hat, hackers find vulnerabilities in the Pentagon’s systems and boost the overall cybersecurity of the department. “You would rather find the vulnerabilities in your networks that way than the other way of pilfering information,” Carter says. Hackers must be American citizens, Carter added.